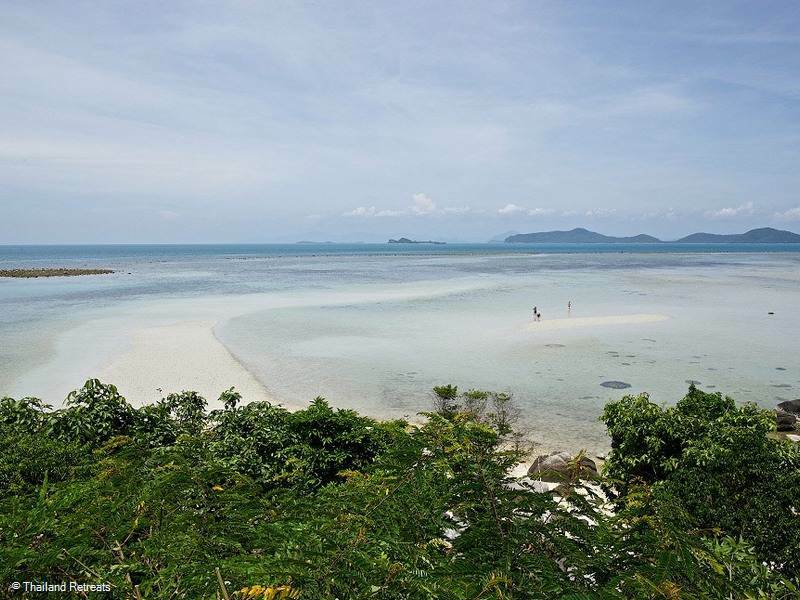 Laem Set is located within Ban Kao Bay on the south east of Koh Samui and far from the hustle and bustle of Koh Samui’s north and east coasts. 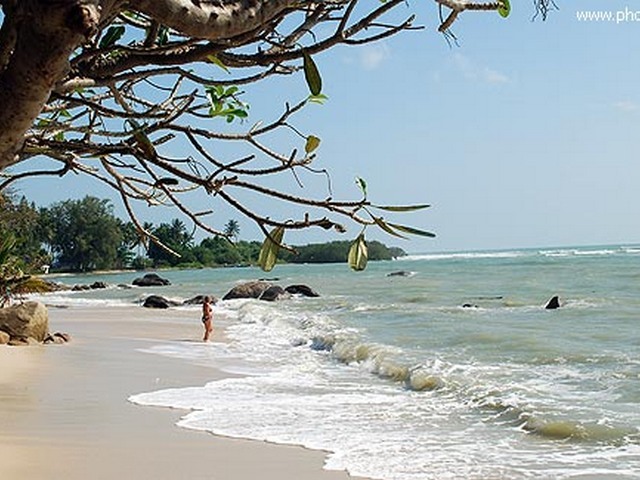 The bay is shared mostly by Laem Set beach with Laem Sor beach occupying the western end. 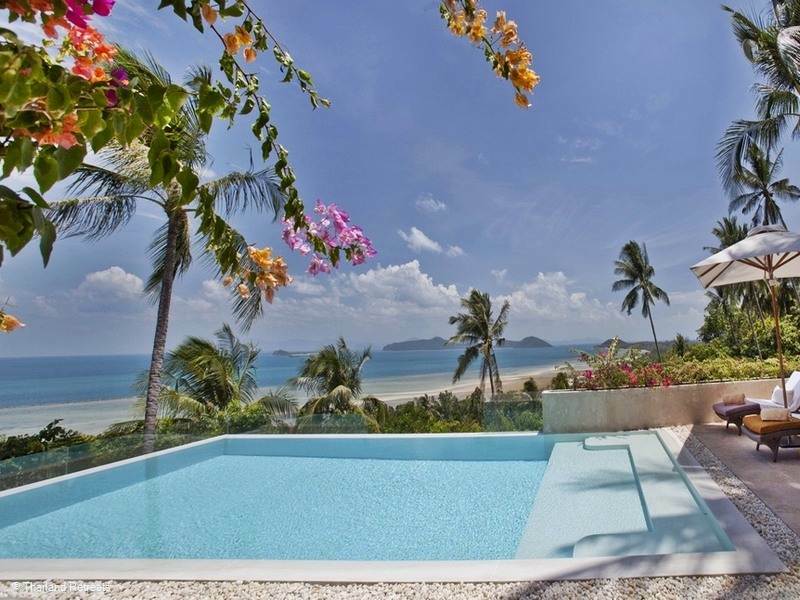 Those who are looking for peace and tranquility in natural surroundings with fabulous views of Koh Samui, stay in beach resorts and luxury private beachfront villas spread out between the coconut palms. 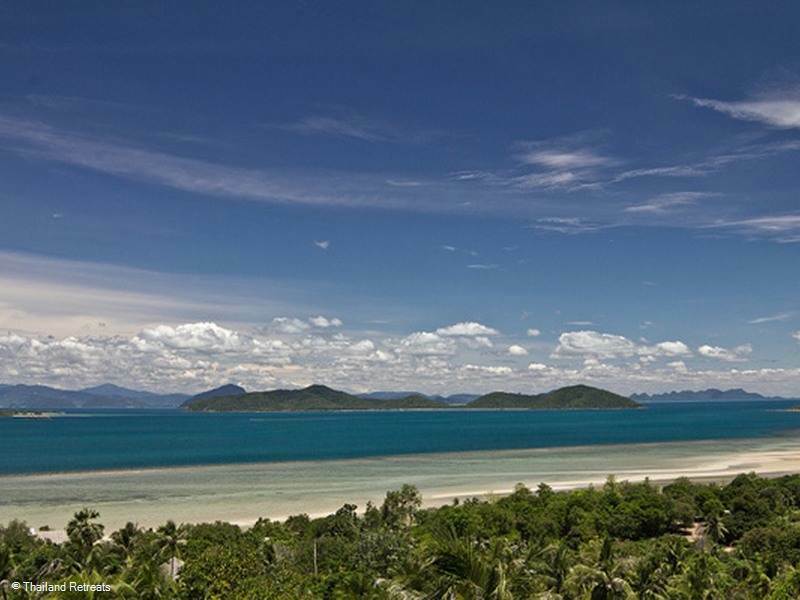 Each property has more or less its own private beach, although officially all beaches are public on Koh Samui. 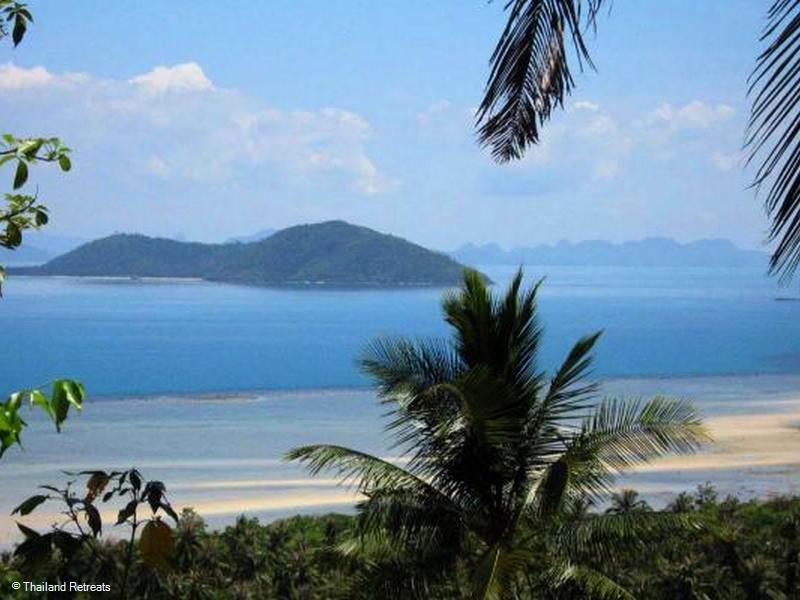 The main Koh Samui ring road is some distance away from the beach as is the inner coast road, it is well off the beaten track with no village or community. Should you wish to venture away from this peaceful environment for some souvenir shopping or the supermarket, the nearest main town of Lamai is 20 minutes drive. 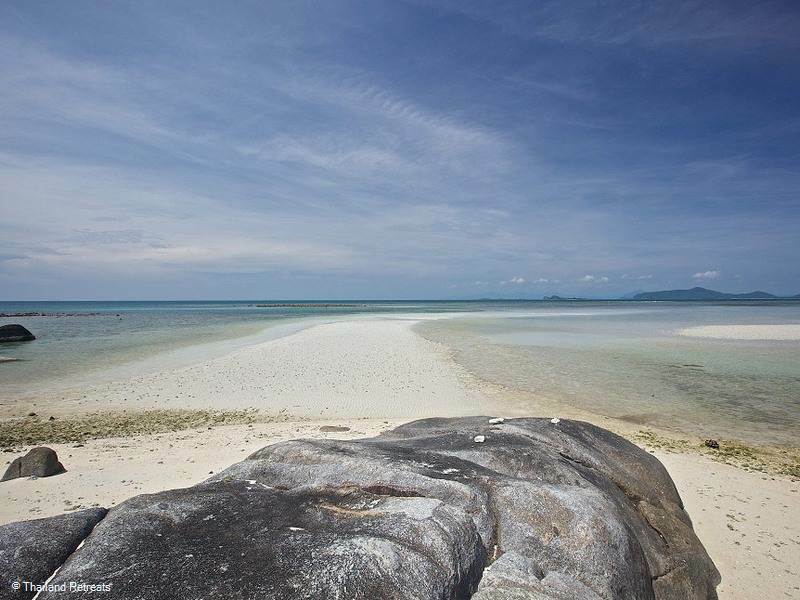 A feature of Laem Set beach is the large granite boulders that separate the beach into several small sandy coves from the Centara Resort and continuing around the headland in the east. It creates a unique attraction not seen on other beaches on the island. 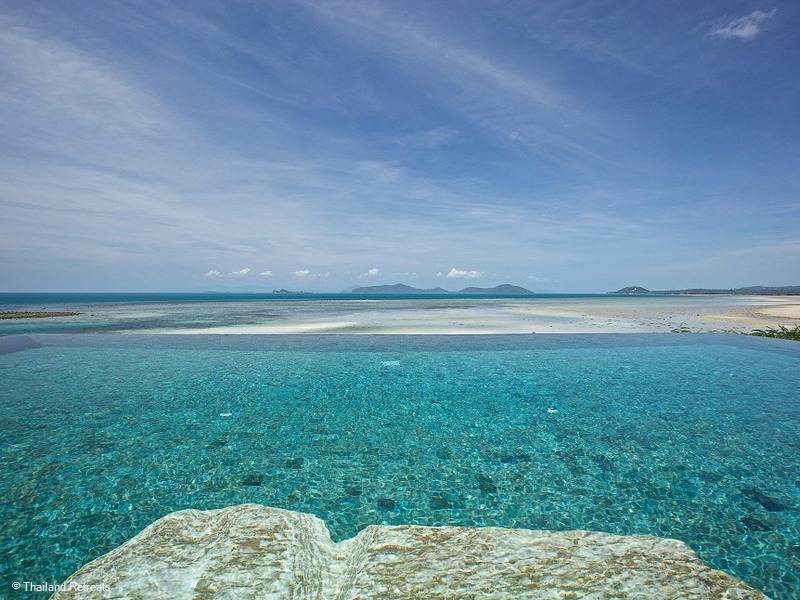 During the summer months there is a large expanse of sand due to the low tides and shallow waters that extend over 100m out to the offshore reef. Swimming is only possible during a few months of the year. Probably the best part of the beach is occupied by the internationally renowned Kamalaya Wellness Centre with it's accommodation cascading down valleys within the hillside. 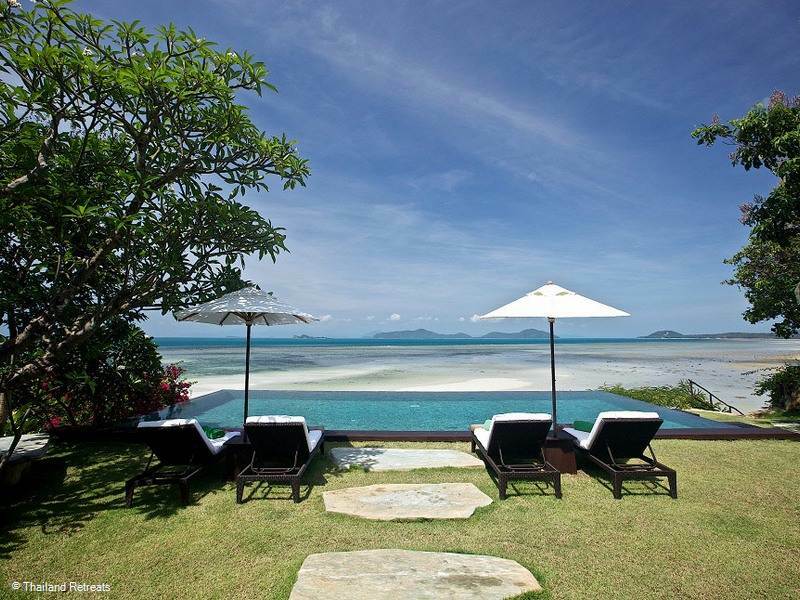 Kamalaya Wellness Sanctuary and Holistic Spa Resort is an award winning centre offering programmes in detox, yoga, stress and burnout, fitness and weight control. 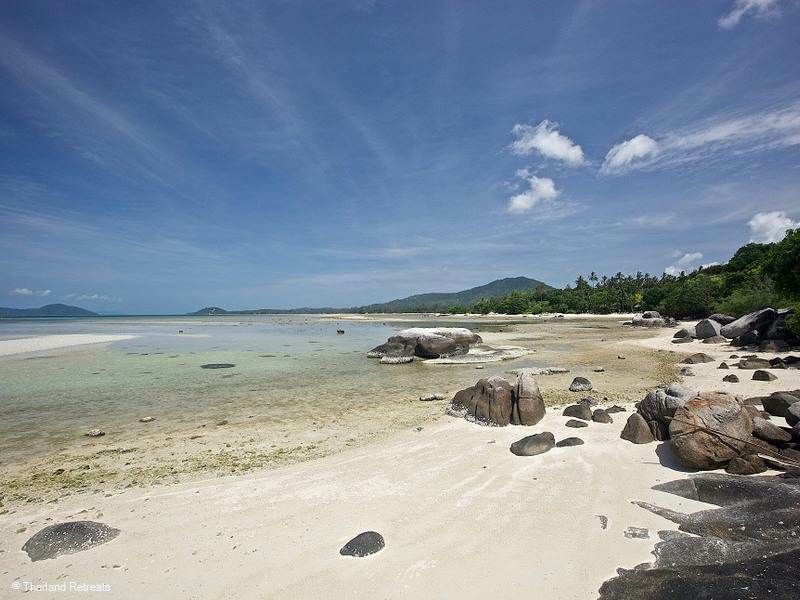 South - An unspoilt sandy beach with rounded boulders that separate the beach into small coves at one end. The rest of this quiet beach is a wide expanse of sand most of the year due to the low tides where other activities and beautiful scenery can be enjoyed.